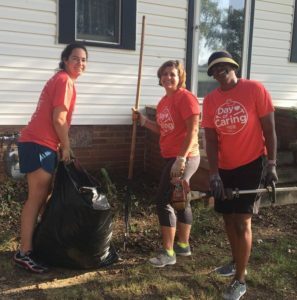 More than 1,100 volunteers came together in service on Saturday, Aug. 25 to help fellow neighbors as part of United Way of Central Carolinas’ Union County Day of Caring. Now in its 26th year, the event illustrates the power of uniting volunteers, organizations and resources to make a difference in our community. 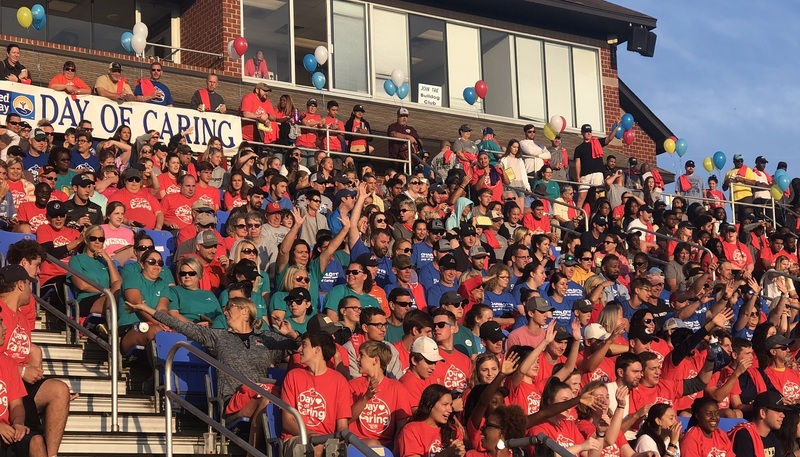 Volunteer teams from companies, schools, churches and civic groups – 126 teams in all – joined at Wingate University’s Irwin Belk Stadium for an early morning community rally and breakfast before heading to 121 projects throughout Union County. Teams included Wingate University students and staff (356 volunteers), Carolinas HealthCare System Union/Atrium Health (131), Union County Public Schools (125), ATI Specialty Materials (90), Charlotte Pipe and Foundry Plastics Division (60), Union County Government (51), UTC Aerospace Systems (30) and Goulston Technologies (20). 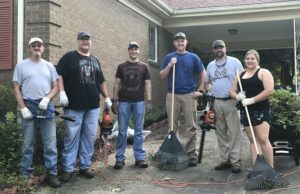 Many of the volunteer projects involved outdoor tasks and home repair for elderly neighbors who are unable to do the work themselves. United Way has 18 community partners in Union County focused on improving the education, health and financial stability of every person in the community. The Day of Caring event traditionally has served as the launch for United Way’s campaign season. Over the years, the annual event has grown into a county-wide celebration of neighbors helping neighbors. In the past 11 years, more than 13,000 volunteers have given their time, talents and commitment to provide neighbors in need with a little extra help. View more photos of this year’s Union County Day of Caring here.